Even as the host of medical benefits of cannabis gain widespread acceptance, the various delivery methods used by medical patients are still hotly contested. 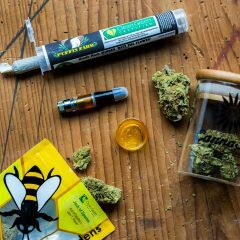 Oils, tinctures, edibles, pills, concentrates, and plain old-fashioned joints are all utilized widely by patients. 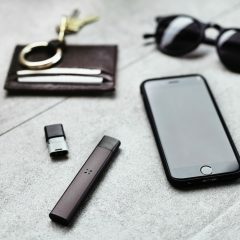 One delivery method, however, stands out among them: vaporization is arguably the best means of ingesting cannabis for patients suffering from many of the debilitating health conditions that the plant is used to address, including chronic pain, anorexia, cancer, epilepsy, AIDS, glaucoma, arthritis, multiple sclerosis, and more. Much of the literature on vaporization for medical conditions addresses the health benefits of vaporization itself compared to the detrimental aspects of other consumption methods. For instance, vaporization circumvents the ingestion of carcinogens associated with smoking; it avoids the intake of unnecessary calories that edibles require; and it allows for a more controlled experience than dabbing concentrates. However, a major aspect of vaporization’s appeal for medical patients is in vaporizers’ seamless fit into the lifestyle necessitated by debilitating medical conditions. For conditions requiring long-term care in a hospital ward, for example, smoking is almost always against hospital policy due to indoor air quality regulations and the necessity of respecting other patients’ ailments. Cannabis vapor, on the other hand, drastically reduces the smell and linger associated with smoking, and will not exacerbate others’ conditions. In cases where side effects include severe nausea – in cancer patients undergoing chemotherapy, for instance – vaporization makes an instant impact, whereas an edible would not necessarily have time to take effect prior to the point at which vomiting ensues. For patients whose conditions benefit from specific terpenes, the temperature control afforded by vaporization compared to smoking allows for selective extraction, meaning that patients new to using cannabis as medicine can experiment, find the correct strain and temperature setting for them, and then repeat the experience over the course of treatment. Once a patient or caregiver has determined that vaporization is the most effective means of using cannabis to address their particular condition, the question becomes how to choose the best vaporizer for the job. Heat-up speed. Imagine a patient who needed immediate anesthesia having to wait four minutes prior to an inhalation of nitrous oxide. Many cannabis vaporizers on the market take at least that long to heat up, which poses an issue for medical patients experiencing irregular pangs of pain or the unexpected onset of seizures. A multi-minute heat-up time just isn’t good enough, which is what motivated the Herbalizer team to set its sights on heating up in under 15 seconds. Temperature control. 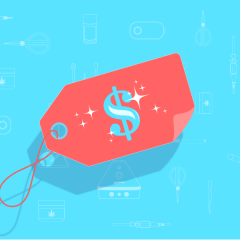 While it may not be a big deal for recreational users to have a different experience every time they consume cannabis, most medical patients – especially those who use cannabis consistently – aren’t keen on living with such uncertainty. Because the temperature at which vaporization occurs has a major impact on the way different cannabis strains affect consumers, precise temperature controls are the key to ensuring a predictable, repeatable experience. For instance, if a consumer vapes the same amount of Cannatonic from the same grower at the exact same temperature day after day, the same cannabinoids and terpenes will be entering their system each time, meaning they can learn what to expect and adjust accordingly. Ease of use. Many patients afflicted with debilitating health conditions are bedridden, intubated, or otherwise suffering from limited mobility. Vaporizers that allow for consumption of cannabis without requiring movement are integral to this sort of palliative care. Features like the Herbalizer’s whip attachment were added to make it easy for patients to ingest cannabis safely and easily, whereas smoking a joint while lying in bed is not only a fire hazard, it’s also much more likely to induce coughing. Medical-grade materials. Many cheap vaporizers are made using correspondingly cheap plastics, which can leach harmful chemicals into the cannabis vapor. 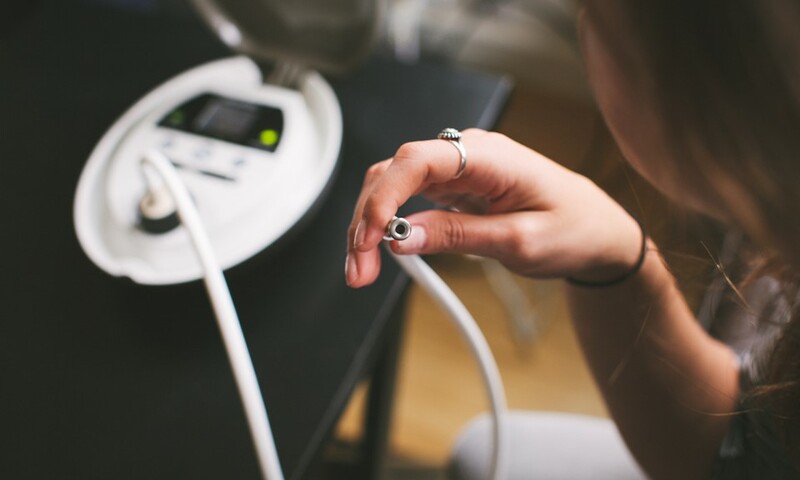 As such, vaporizers that cater to medical patients, such as the Herbalizer, rely on inert, medical-grade plastics, glass, and other materials that avoid outgassing, to ensure nothing toxic is volatized into the airstream. For more information on the Herbalizer, please visit Herbalizer’s website.